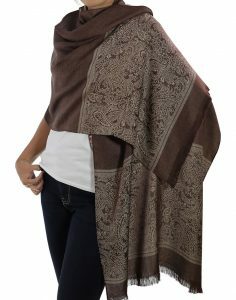 Combining the softness of cashmere with the lustre of silk, this traditional Blue Grey Pashmina Scarf is a truly beautiful addition to any wardrobe. 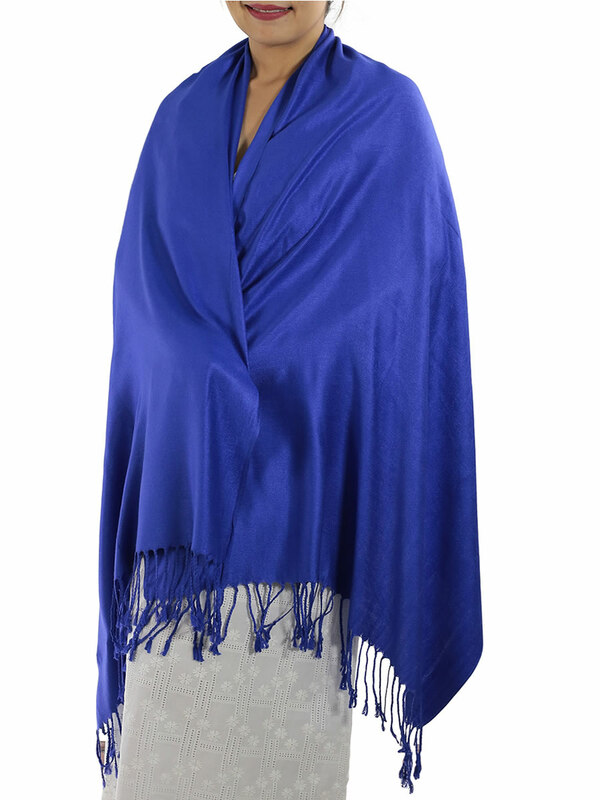 Radiant with colour and luxuriously soft and light, this Blue Pashmina Scarf will take you right through the year in timeless style. 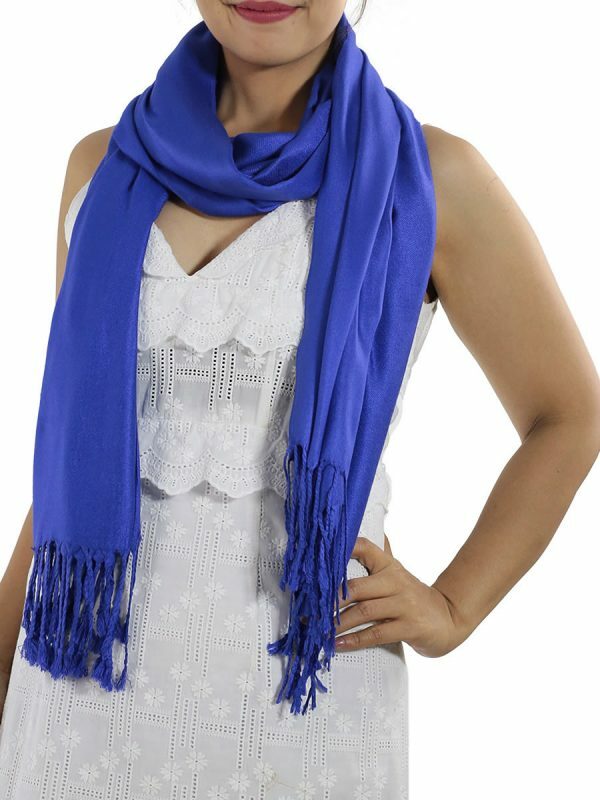 Simply pair this Blue Scarf with your favourite outfit for a beautiful style that will make you the envy of friends and family. 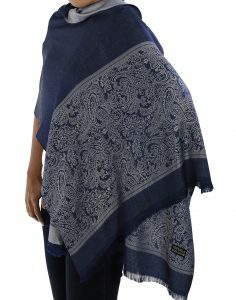 The luxurious colour of the Blue Pashmina Scarf will instantly brighten your look and spice up the other colours of your outfit. 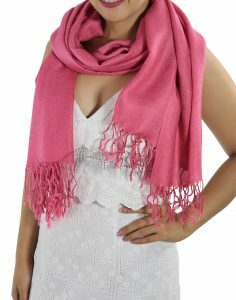 Thaisilkandscarf.com is a reliable wholesaler from Chiang Mai that provides lavish scarves in an array of colors from vibrant reds to elegant blue pashmina scarves and at prices you almost wouldn’t believe. By cutting out the middlemen, this website can help you inject some international vibrancy into your wardrobe. 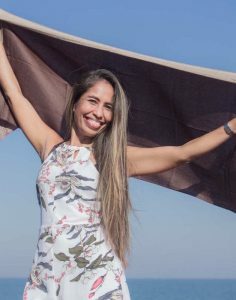 And the versatility of a blue pashmina scarf means that the ways it can accentuate your various outfits and moods is limited only by your imagination. 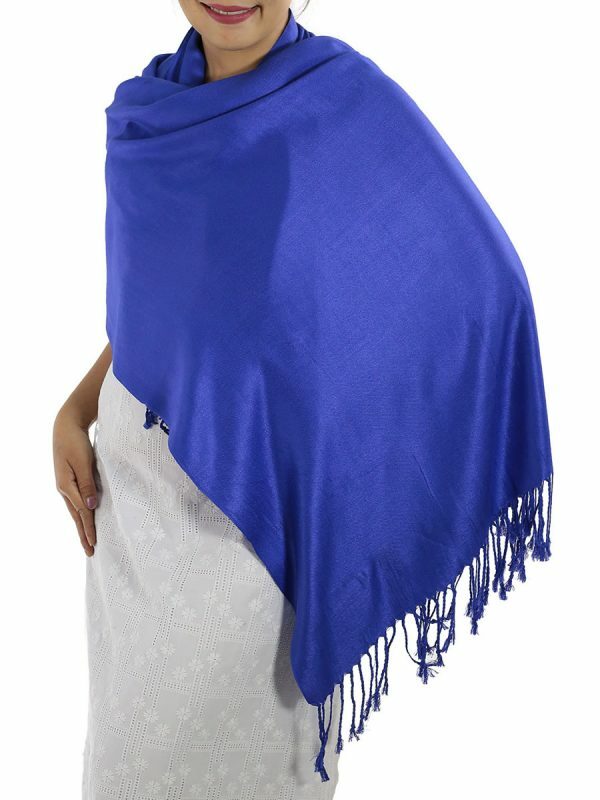 This exquisite blue pashmina scarf is bound to make you the talk of the town because of its utter lissomness. The color is bold without being flashy, the fabric is light without being flimsy and its level of comfort cannot be truly described but only felt. 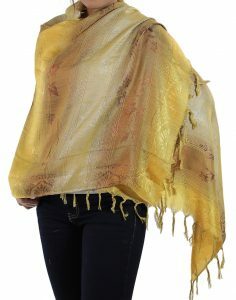 It can instantly upgrade an ensemble of jeans and a blouse as you run out the door on an autumnal afternoon. Tie it into a ‘twisty scarf loop’ knot to make walking down the aisles of the grocery store feel more like an international fashion show runway. 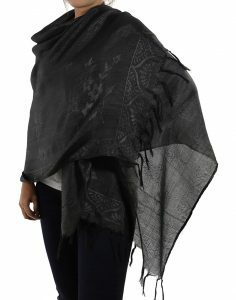 Or, you can wrap it around yourself in a ‘DIY circle scarf’ knot both protecting your neck from cold winds and accentuating your graceful shoulder-line. 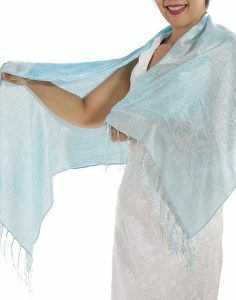 It’s true that a beautiful Thai blue scarf has traditionally fetched a very high price. 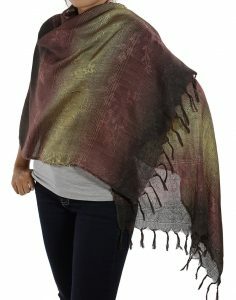 But now, thaisilkandscarf.com is offering you an amazing way to add a worldly twist to spice up your wardrobe without having to break the bank. 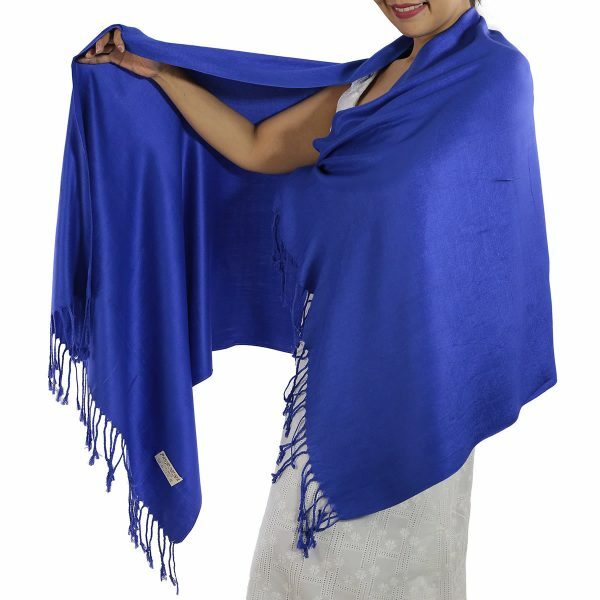 By ordering directly from this reliable wholesaler in Chiang Mai, you are able to get this sumptuous blue pashmina scarf at a price hitherto unseen. But if you do get a blue pashmina scarf, remember, you will have to answer the question where did you get that scarf quite often. You can tell them, “From a family supplier in northern Thailand”, or not, and just let them stew in covetousness. The choice is yours.